After years of a booming economy, global oil prices began to slip. With Alberta about to head into the greatest recession in generations, Conservatives blamed everyday Albertans for the troubles to come. The idea of taking a good hard look in the mirror was infuriating to Albertans working regular jobs. Forced to pay higher rents and grocery bills on Canada’s lowest minimum wage, they had already had plenty of opportunity to think about the situation in Alberta. Alberta’s good times were great for political insiders and CEO bonuses, but anything but for those working regular jobs. There was something wrong with the fact that the wealthiest province in Canada also has the highest number of working people relying on the food bank, Rachel Notley argued. 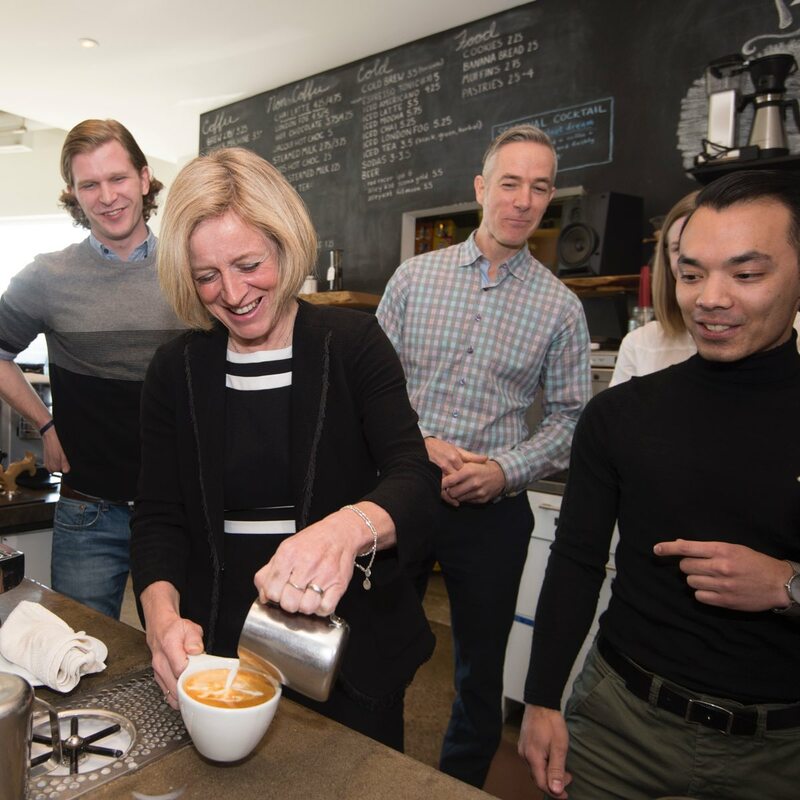 Notley campaigned on a promise to raise Alberta’s minimum wage to $15 an hour, a marker adopted by several cities, states, and companies like Amazon but still lower than wages in Australia or Denmark. Over a four-year period, the province gradually raised wages from the lowest in the country to Canada’s closest thing to a living wage. The public debate around a higher minimum wage is often accompanied by predictions of massive job losses, but dire predictions have not come true. Economic studies have shown that real benefits can come without loss to the local economy. Better pay means higher productivity and less employee turnover, while low-income households put money back into the local economy. Better pay means higher productivity and less employee turnover, while low-income households put money back into the local economy. As it has raised the minimum wage, Alberta has seen bumps in consumer spending and restaurant receipts. Inflation has kept pace with Saskatchewan, which hasn’t significantly raised wages. But the upside is felt most keenly by the 250,000 Albertans making minimum wage. In Alberta, 40 per cent of minimum wage earners are parents, and more than 14,000 are single parents. Two-thirds of them are women. Roughly three-quarters of minimum wage earners are at least in their twenties. Looking in the mirror, these hardworking Albertans can finally see a brighter future.